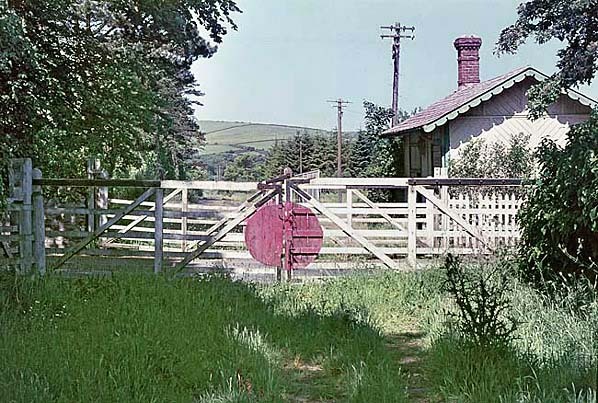 Present state: Although the station has been demolished the crossing keepers cottage survives as a shelter for walkers on the east side of the level crossing. Notes: Crosby Station was one of the original stations on the Isle of Man Railway’s Douglas to Peel line. The station was opened with the line on the 1.7.1873 to serve the nearby village of Crosby. The Douglas to Peel line was a single track railway but a passing loop was provided at Crosby. 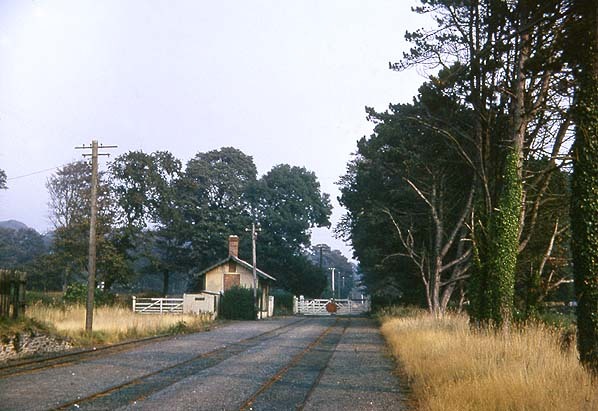 The station was situated on the west side of a level crossing. It was not provided with raised platforms but had a wood and brick building situated on the west bound (Douglas) side of the station. 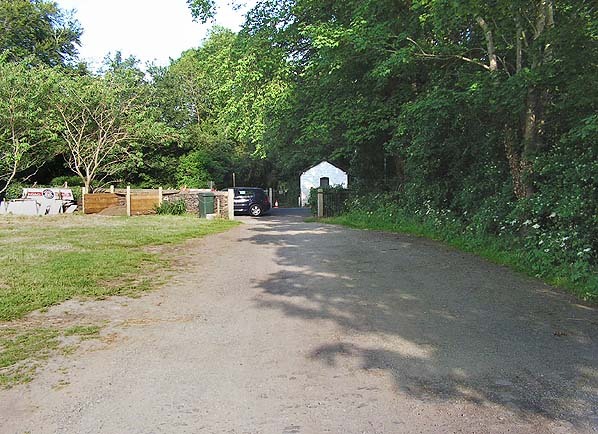 The station was also provided with goods facilities comprising two sidings serving a raised cattle dock and a small goods shed..
Railway and services operated from Douglas to both Peel and Ramsey on a regular basis. 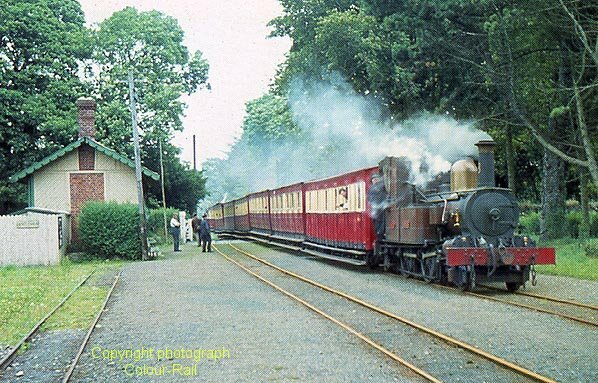 The Isle of Man Railway remained very busy throughout the first part of the 20th Century especially during the summer months when the island became one big holiday camp. 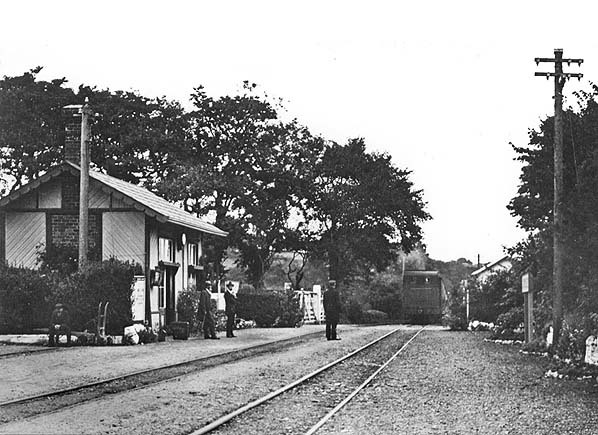 However after the Second World War traffic began to decline but services on the Douglas to Peel and Ramsey lines continued to serve the station until the 13.11.1965 when all of the lines on the Isle of Man Railway system closed due to the condition of the track which had received only minimum maintenance for many years. A rescue package was put together which saw Crosby station re-open with the line on the 3.5.1967. However financial problems continued to plague the Isle of Man Railway and the Douglas to Peel line closed along with all of its stations on the 7.9.1968. The St Johns to Ramsey line had closed one day earlier. Various attempts where made to re-open the Douglas to Peel and Ramsey lines but eventually they were sold for scrap and lifted bwetween 1974 - 5. Today the trackbed through Crosby forms part of a long distance footpath and cycleway.